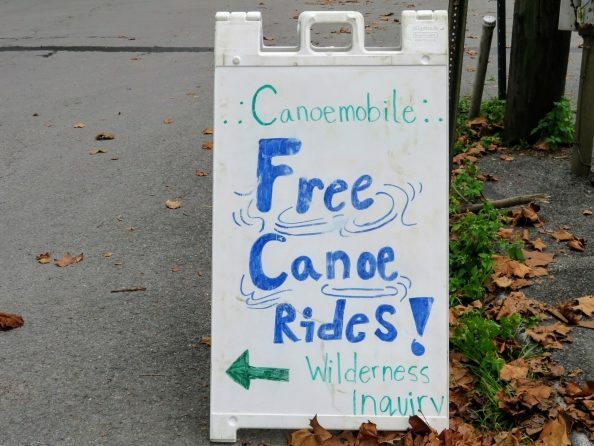 Check out the Canoemobile Fun! 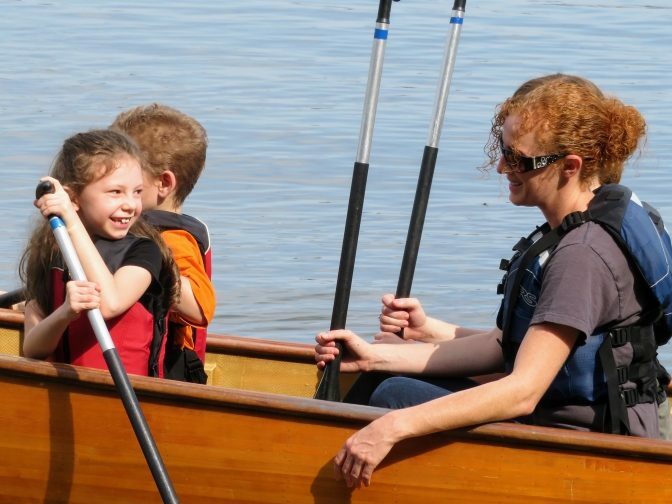 Enjoy a look back at this fun and transformative riverfront experience. 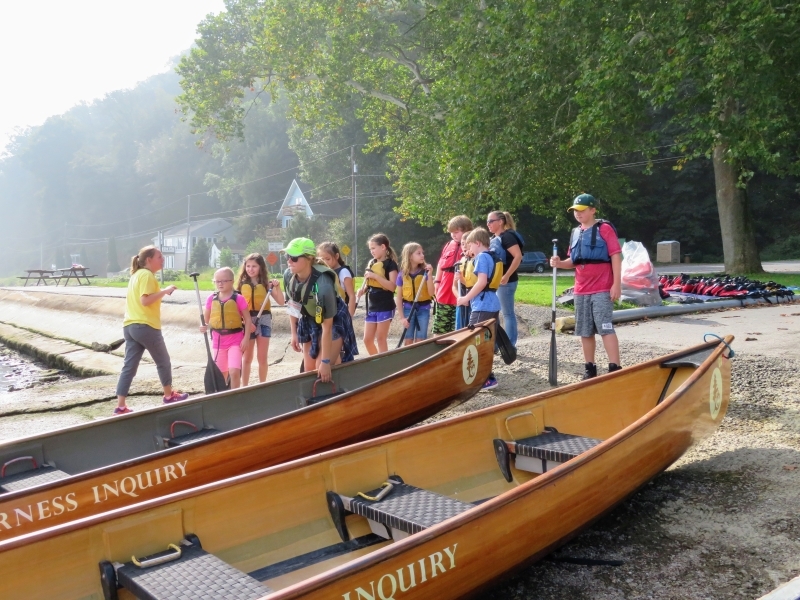 Fifth grade students from Lancaster and York counties paddled the Susquehanna in 24 foot Voyageur canoes, and participated in field studies, learning about the science, history, geography, and culture in their home towns on October 3-5. 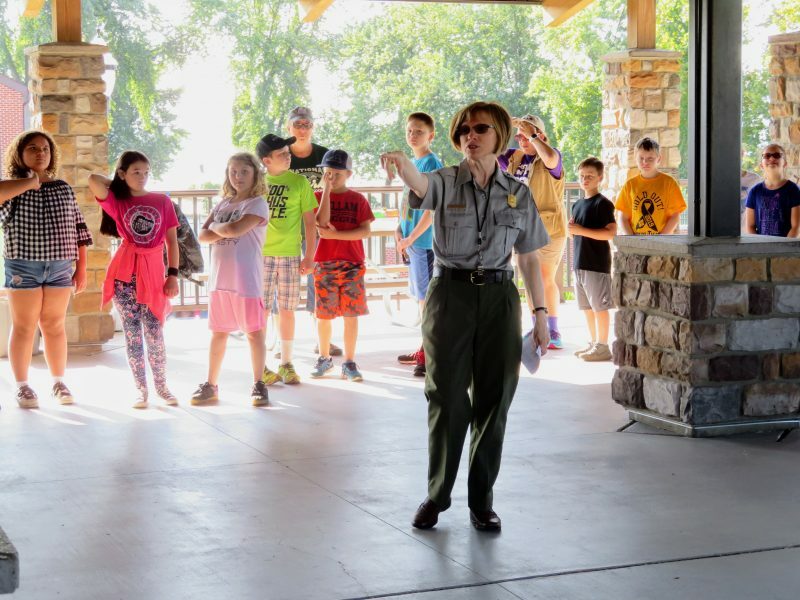 Susquehanna Heritage hosted the local school districts at Columbia Crossing River Trails Cents. 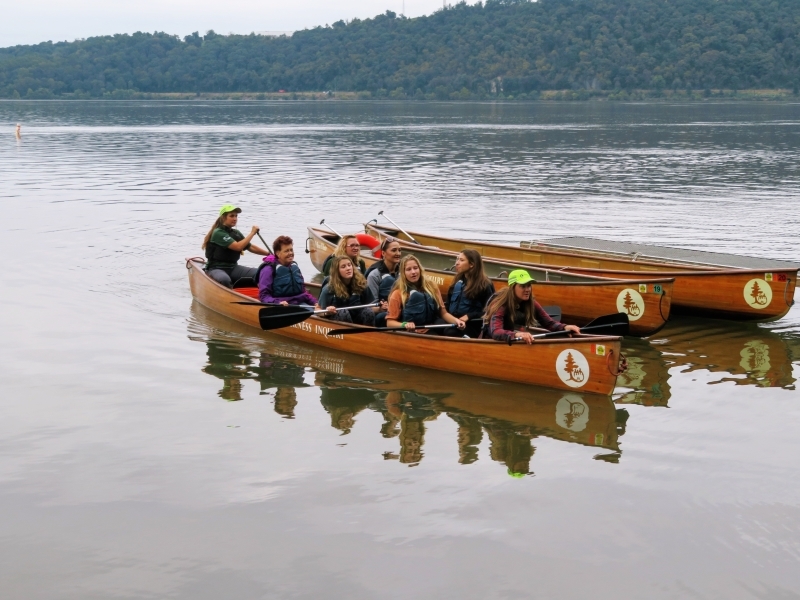 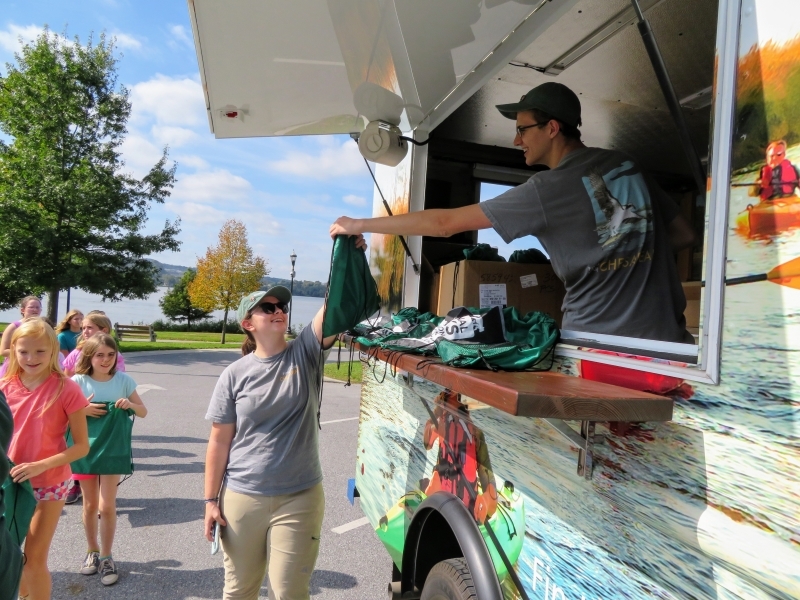 The National Park Service, National Parks Conservation Association, Pennsylvania State Parks, and Susquehanna Heritage came together to offer the “Canoemobile” program from the Minnesota-based organization, Wilderness Inquiry. 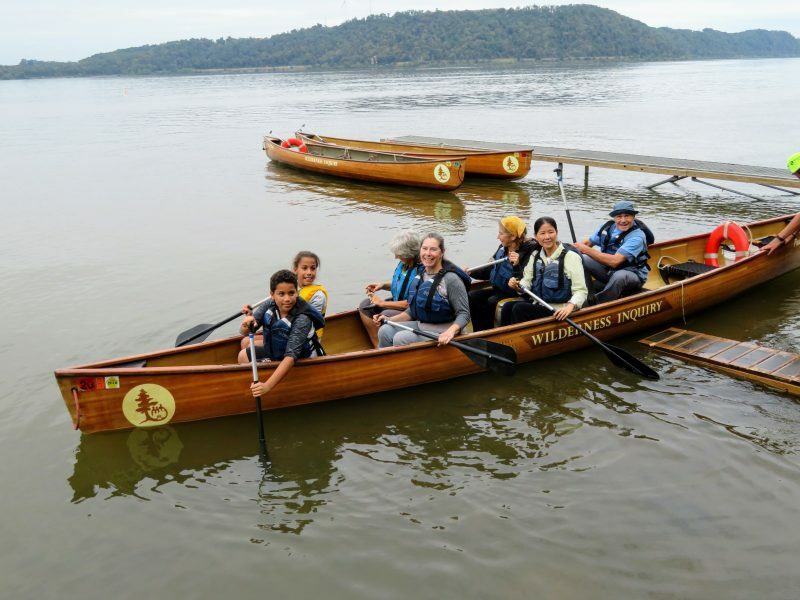 Wilderness Inquiry is a non-profit organization that connects people to the natural world through shared outdoor experiences. 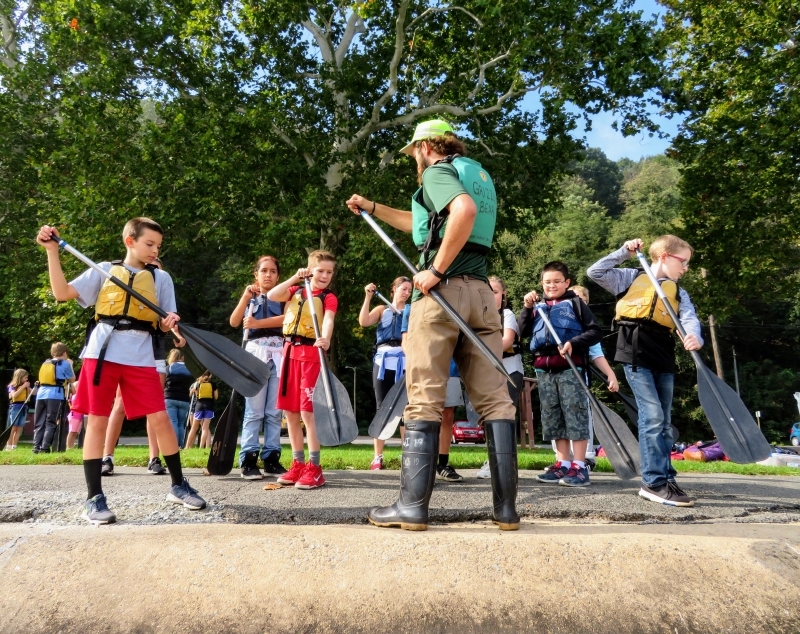 Susquehanna Heritage and our partners offered educational land stations to complement the paddle excursions. 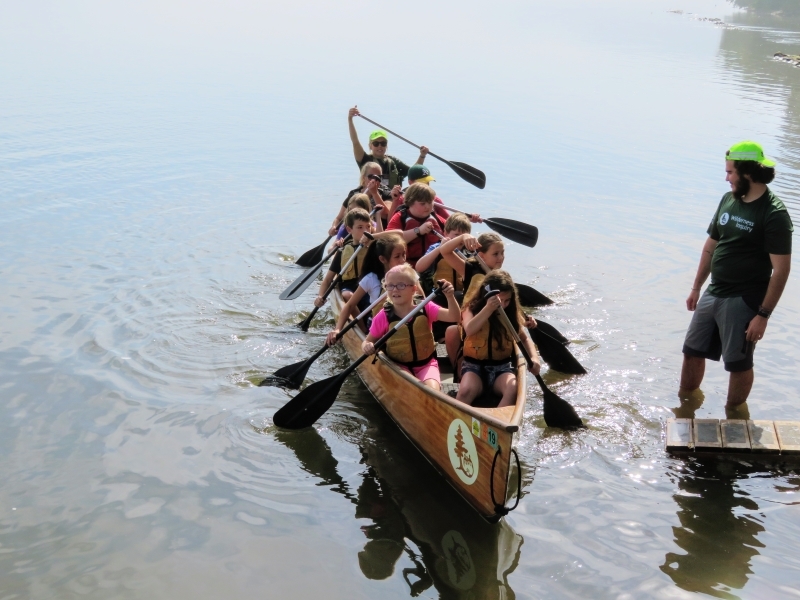 Students learned about Native American dugout canoes and the Captain John Smith Chesapeake National Historic Trail. 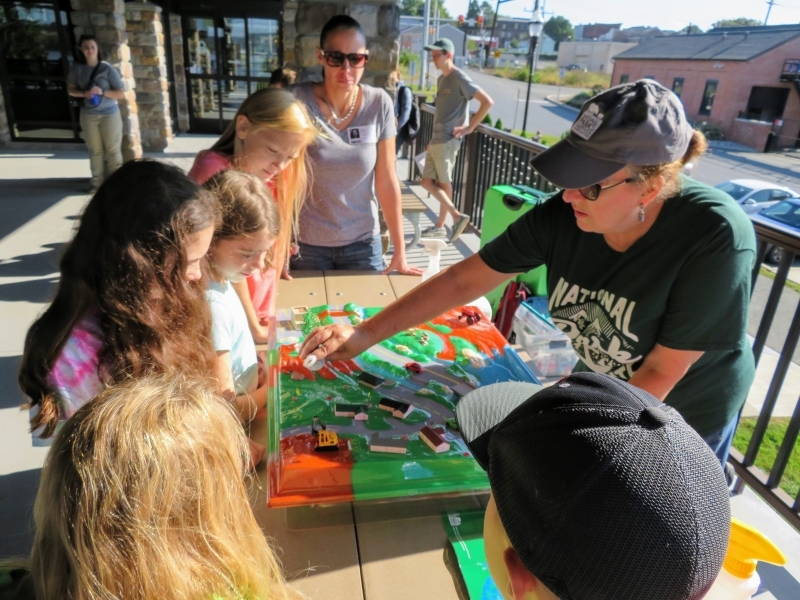 They learned about water runoff and pollution through a hands-on watershed model. 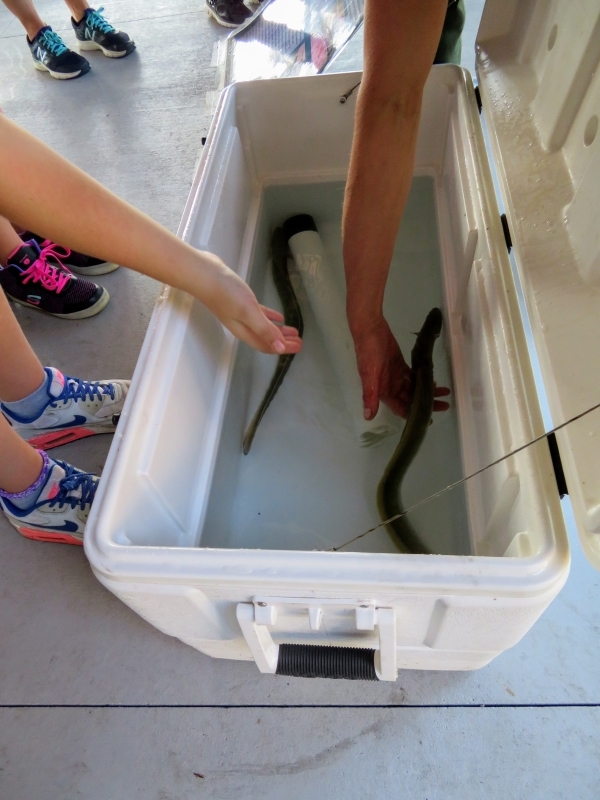 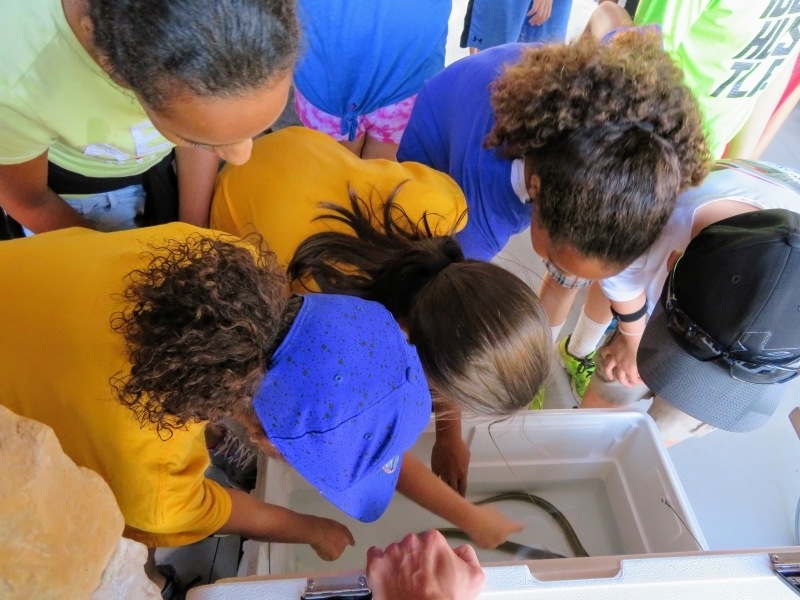 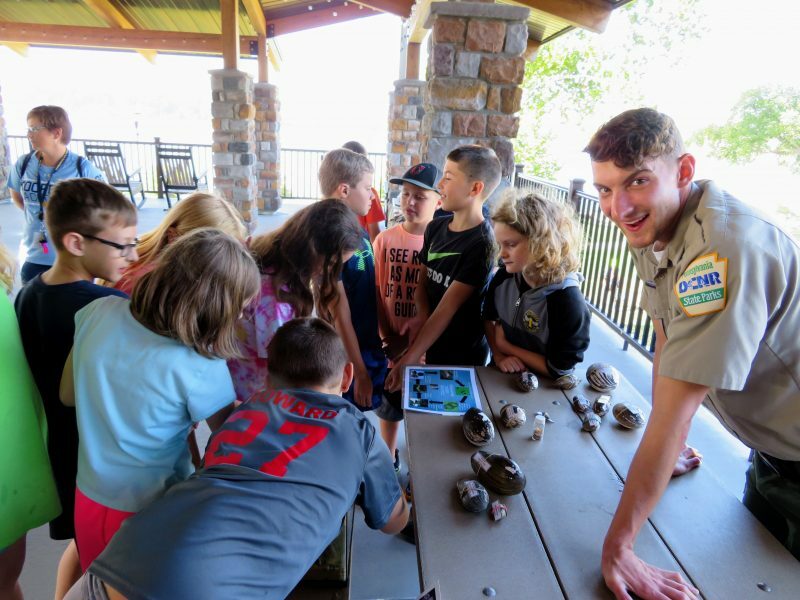 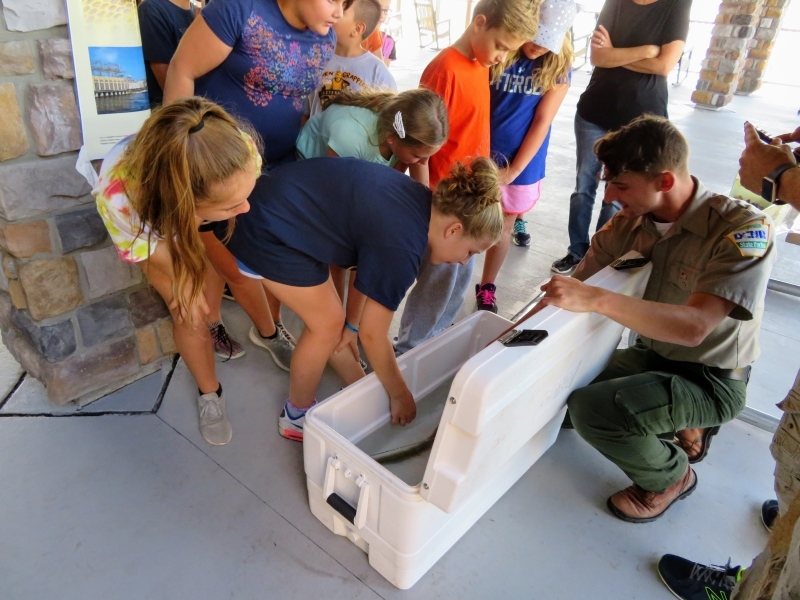 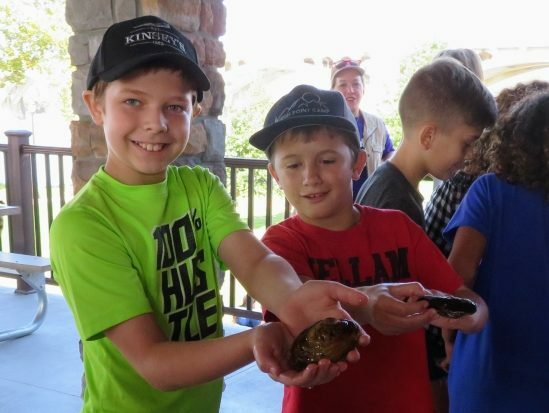 Thanks to DCNR Ranger Curtis Sherwood, students met fresh water eels and learned about their relationship with fresh water mussels. 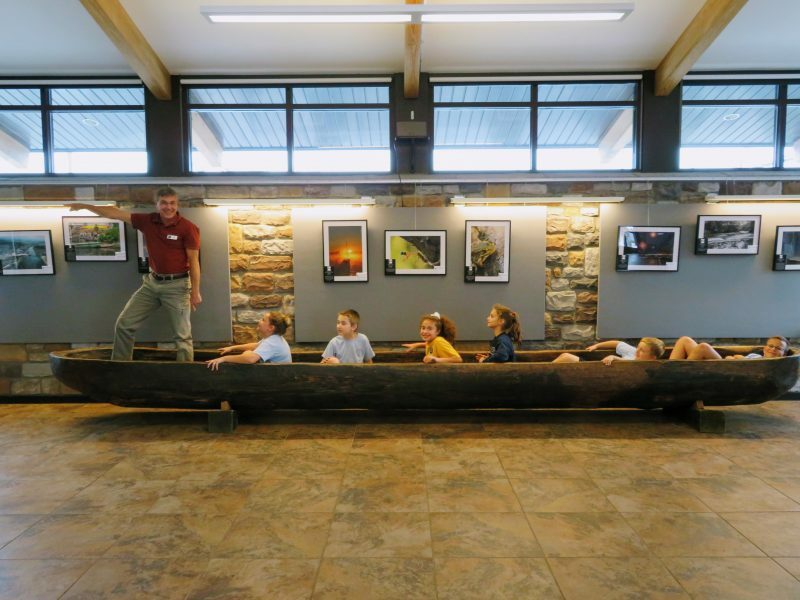 A homeschool session was held on Thursday. 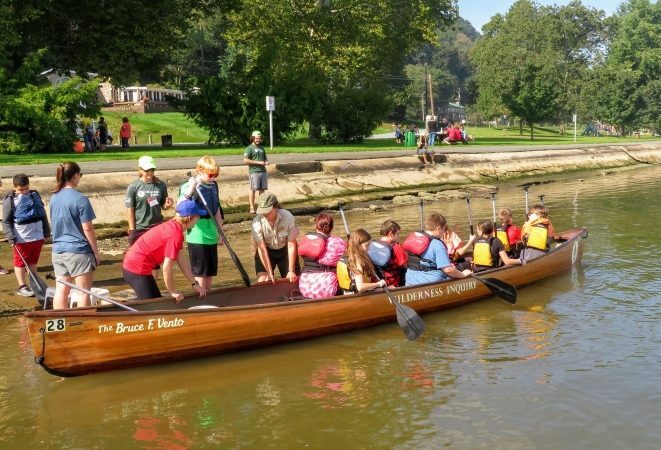 On Friday afternoon, the public was invited to canoe with Wilderness Inquiry. 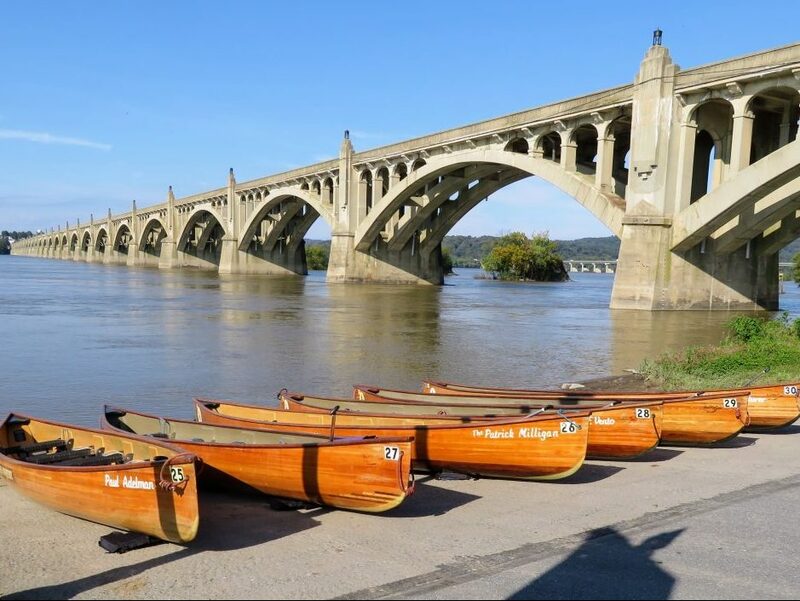 The river’s current was swift and water levels remained high throughout the week. 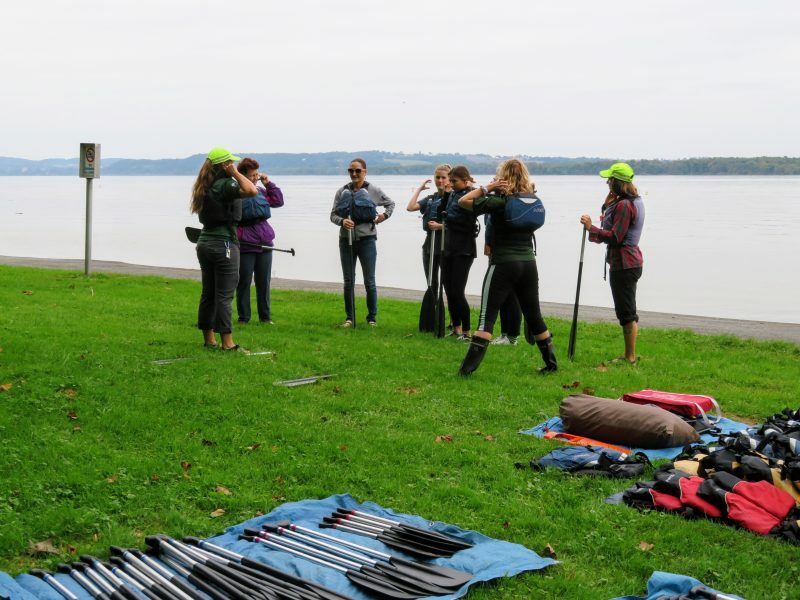 As a result, some groups were unable to paddle at Columbia. 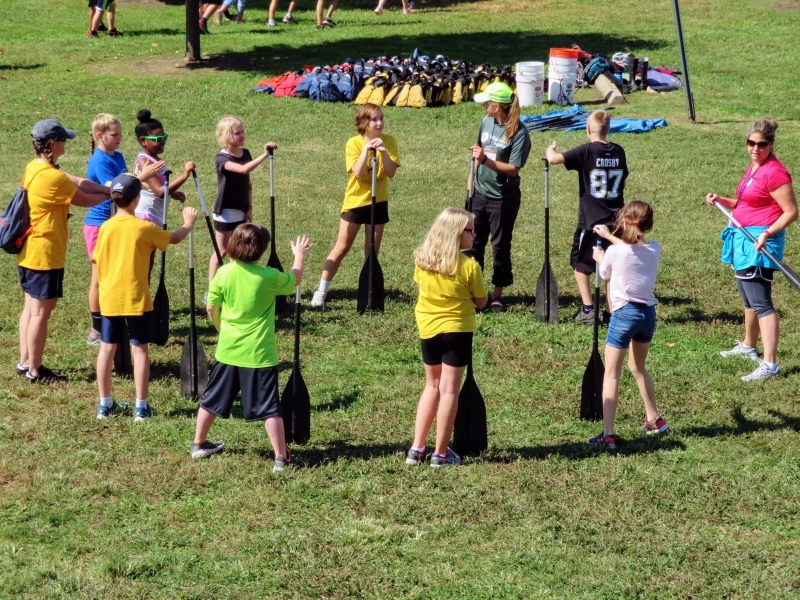 Wilderness Inquiry did transfer the canoes to Lock 2 along Long Level when it was possible. 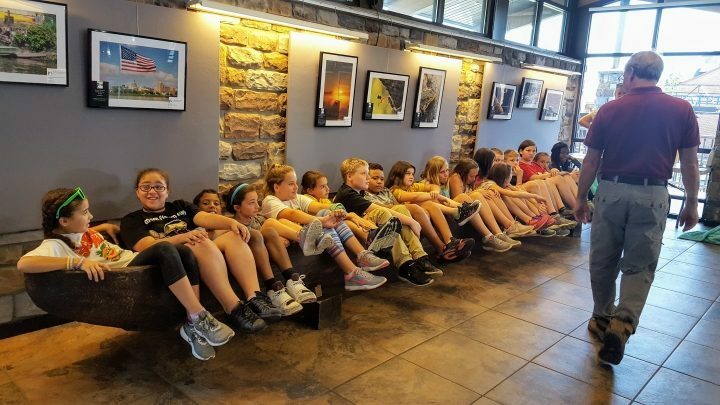 Students, teachers, families, and visitors greatly enjoyed the field trip and excursion. 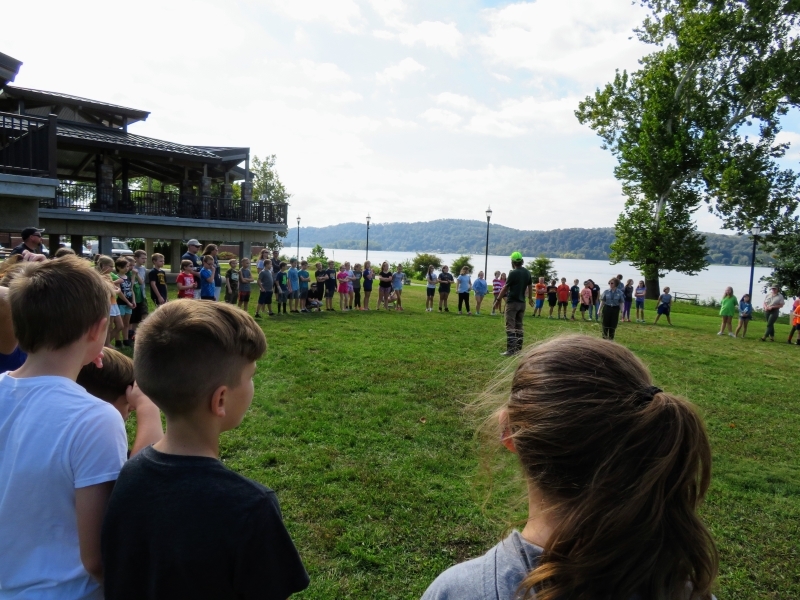 You all really made a difference in the life of our children. 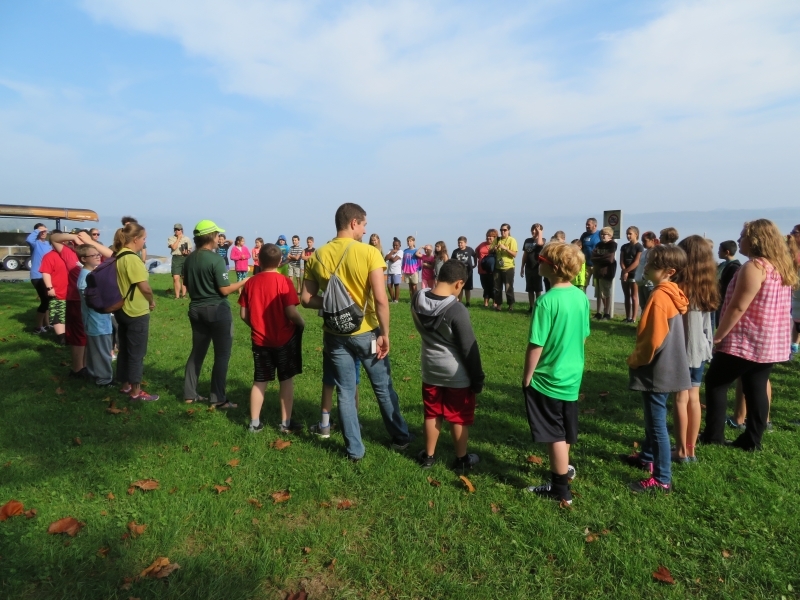 We are a Title I building, and many of our children would never have had this wonderful experience. 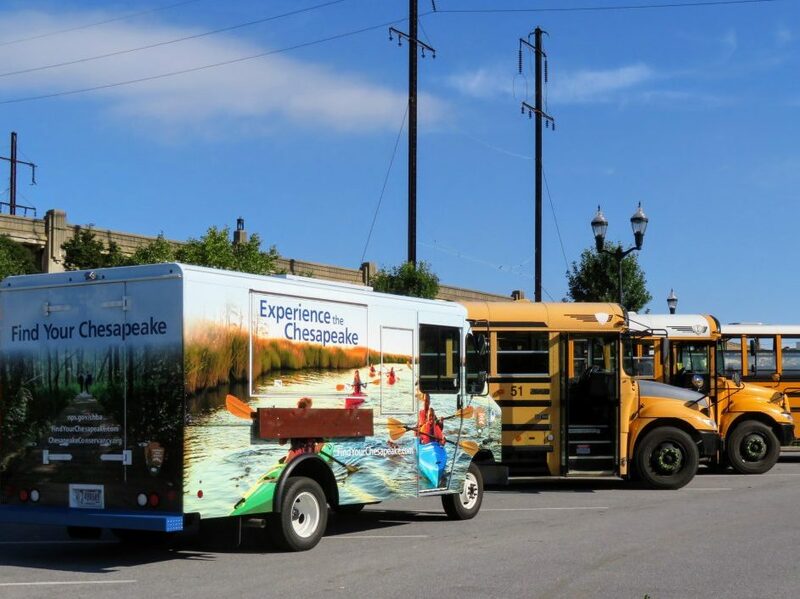 We appreciate it so much!